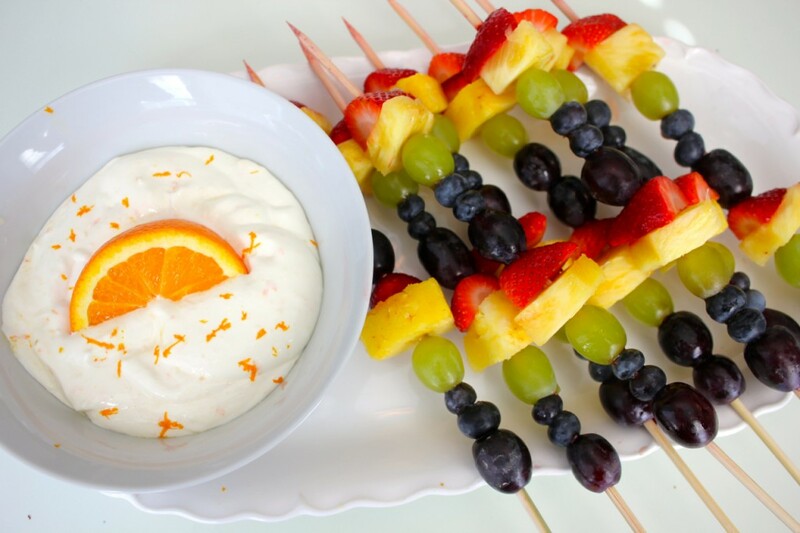 Aren’t these fruit skewers beautiful?! I can’t actually take the credit for them, I got the idea from Pinterest, of course! The fruit dip, however, is my little twist on the traditional marshmallow creme fruit dip that has been around for years. It’s sweet, slightly tangy, and highly addictive! I made this for a shower last weekend, and it was a hit. Speaking of the shower, there is actually a little story behind this fruit dip. Do you ever have those moments where you really feel like you’ve got it going on? And about that time, you quickly realize that you don’t and you just need Jesus! I’ll be honest, lately I have had a little bit of a pride issue going on. Of course, I didn’t realize it at the time, but a few things have happened within the past week or two that have made it pretty obvious what or more appropriately “who” I’ve been all about – ME. You see, I went to this shower with my new dress, my fruit skewers, my homemade fruit dip, my homemade punch (from my upcoming cookbook no less), and my baby boy in tow. I was feeling pretty “put together,” if you know what I mean. Well, after a few things went wrong that weren’t in my plans for the day, my true colors began to show through. I let a few silly things stress me out and as the day unfolded, I hurt the feelings of someone close to me, because I was so consumed with me and mine. You see, ever since becoming a mom, I have felt a pressure like I’ve never known. All of the sudden, keeping the house clean, keeping my appearance up, staying social, and just living up to the expectations set by myself and society has proven to be very difficult and exhausting. I have found myself wanting so badly to portray the image of what I think I “should” be. And the day of the shower I thought I was doing a pretty good job of that, but it had just of become all about me. As soon as a few little things went wrong, and my image wasn’t so picture perfect, I became stressed and honestly, a little rude. When I’m all about me, I become less about serving the Lord and serving others. All of that to say, I’m hoping that this dip will serve as a reminder to me the next time I make it for a party or gathering that I don’t have to be perfect. I don’t have to appear as if I have it all together, all of the time, because let’s face it, I don’t. Even if I do appear that way sometimes in the eyes of others, what have I really gained throughout that? Approval from my peers, lots of time and money spent trying to impress, resulting in more stress when something goes wrong or isn’t perfect? First of all, I don’t really think it’s possible to “be all of the things,” and at the end of the day it won’t bring me true joy. I would love to be the kind of person who looks for ways to serve others, who is attentive to their feelings and needs, and I can’t do that when I’m so focussed on myself that I don’t really see anyone else. 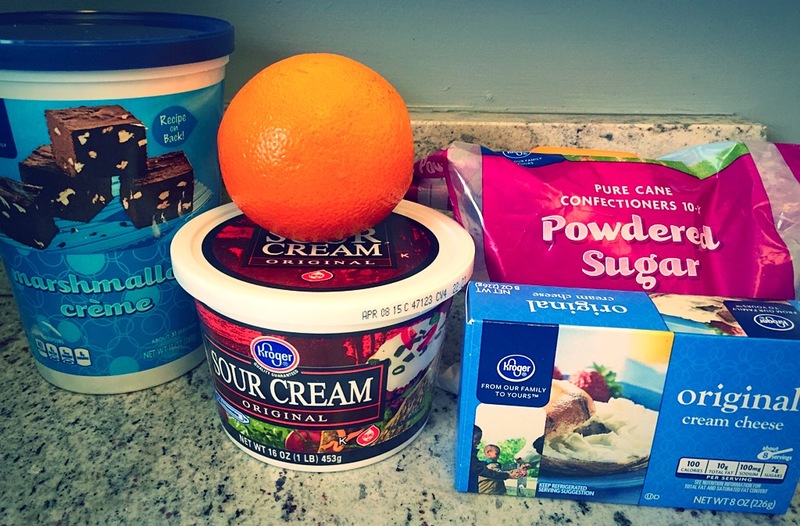 So, I hope you will try this fruit dip, because it really is delish. But if you make it for a party or gathering, don’t put so much pressure on yourself, because we aren’t perfect, and no one really expects us to be. We don’t have to do it all, all of the time, isn’t there some real freedom in that?! Use an electric mixer to beat the cream chess until smooth. Mix in the marshmallow creme, sour cream, and powdered sugar until smooth. Lastly, stir in the orange zest. Store in the refrigerator until you are ready to serve the dip with fruit of your choice. What to look for in remedies online? Remedies like Deltasone usually is used to solve conditions such as breathing problems. Prednisone is a white to almost white powder. Kamagra is for the treatment of failure to get or keep an erection and similar states united to erectile dysfunction. If you’re concerned about sexual problem, you have to talk to your physician about http://journal-info.net/buy/generic-levitra.html and buy generic levitra. What is the most vital info you have to consider about kamagra? (Read more buy vardenafil). Betweentimes people need medications to determination sexual health problem. Having erectile disfunction can certainly complicate dating. Some medicines may interact with this medicine, including over-the-counter herbal products. Not all probable interactions are listed in rate medication guide. Don’t forget, the best way to avoid forged medications is to get prescription drugs like Kamagra from a reliable online service with which you are familiar. Red Hot Valentine’s Day Treats! I know, I know, it’s the cheesiest holiday of the year, but I can’t help but secretly love all of that pink and red that comes in the middle of the cold and otherwise uneventful month of February. 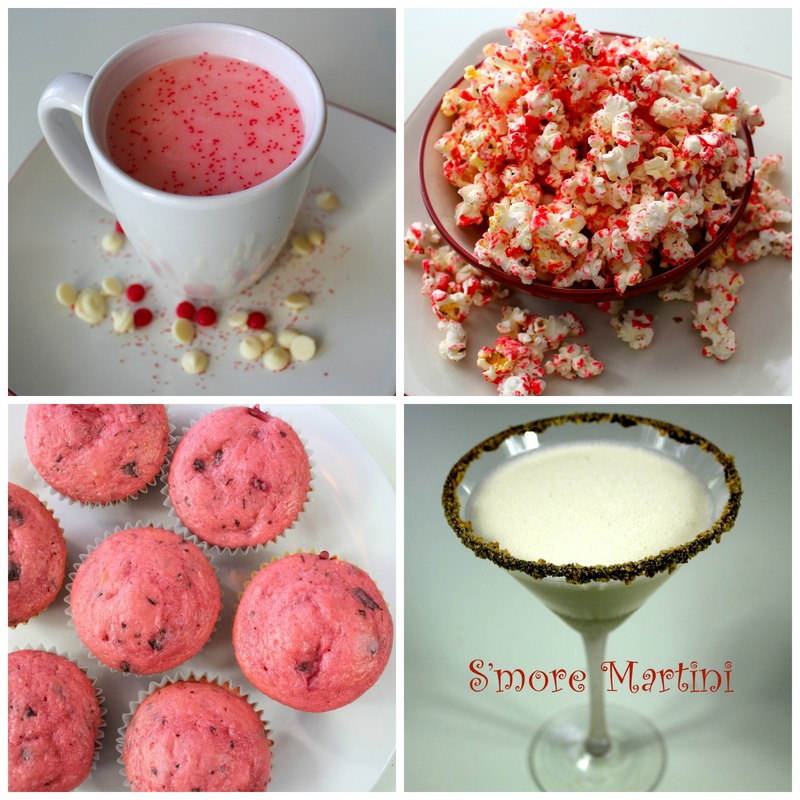 Every year I try to come up with a recipe or two to celebrate this Hallmark holiday, last year I made these Chocolate Chip Strawberry Muffins and this S’more Martini, and this year I made it all about red hots! Whether you are looking for ideas for your kids’ school Valentine’s Day parties or you’re having a cozy night at home; these recipes are fun, colorful, and sure to please! First up is my Cinnamon Candied Popcorn. Let me warn you, this stuff is extremely addictive! 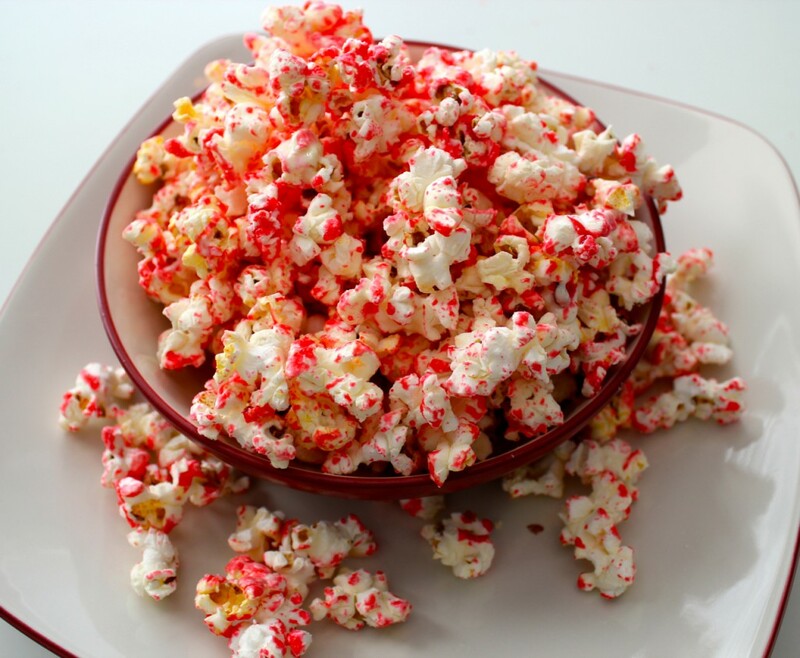 Microwavable popcorn gets coated in melted red hots and white chocolate. It’s a sweet and salty combination no one can resist, plus, it just looks so festive! It is the perfect snack to make in a snap and package up for your children’s classmates. It would also work for a movie date, at home. Fun treats like this make a night at home with your sweetheart just a little more special. Pop the popcorn according to the package directions, and then spread it onto two large baking sheets. In a medium saucepan, bring the red hot candies and the water to a simmer over medium heat, stirring often. Allow the candies to fully melt into the water; this will take about 15 minutes. Immediately pour the melted candy mixture all over the popcorn. Toss the popcorn around until it is all well coated, and place it in the oven for 10 minutes. Meanwhile melt the white chocolate and shortening in a saucepan over medium low heat or in the microwave in 30 second intervals. If the chocolate gets thick or clumpy, add a little more shortening to smooth it out. Pour the melted chocolate over the candied popcorn, and toss it around once again. Allow the popcorn to cool and the chocolate to harden on the baking sheets, and then place it in large zip top bags to store. Place the milk in a large saucepan over medium heat, and let it come to a low simmer. 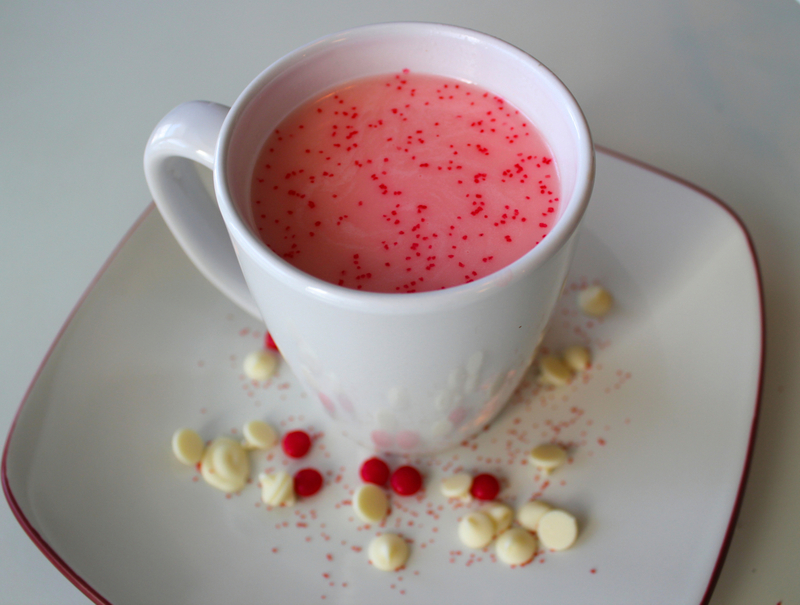 Whisk in the white chocolate, vanilla, and red hot candies. Continuously stir until the candies and chocolate have melted. Once everything has melted together, serve this warm in mugs, sprinkled with the red sugar if desired. This recipe may be double or tripled and placed in a slow cooker on “warm” for a party/entertaining. What to look for in remedies online? Remedies like Deltasone usually is used to solve conditions such as breathing problems. Prednisone is a white to almost white powder. Kamagra is for the treatment of inability to get or keep an erection and similar states united to erectile dysfunction. If you’re concerned about sexual problem, you have to talk to your physician about http://journal-info.net/buy/generic-levitra.html and buy generic levitra. What is the most substantial data you have to view about kamagra? (Read more buy vardenafil). Betweentimes men need medications to resolution sexual soundness problem. Having erectile dysfunction can certainly complicate dating. Some medicines may interact with this medicine, including over-the-counter herbal products. Not all probable interactions are listed in rate curing guide. Don’t forget, the best way to avoid forged medications is to get formula drugs like Kamagra from a reliable online service with which you are familiar. I have several variations of snacks on this blog that involve peanut butter. I just can’t help myself, it’s pretty much my favorite food, and I almost always have several jars on hand. Have you tried my 100 calorie No-Bake Cookies yet? Or how about my 5 ingredients PB Chocolate Chippers? Or my Peanut Butter Granola Bars? Okay, I’ll stop, you get the picture, I like peanut butter okay! 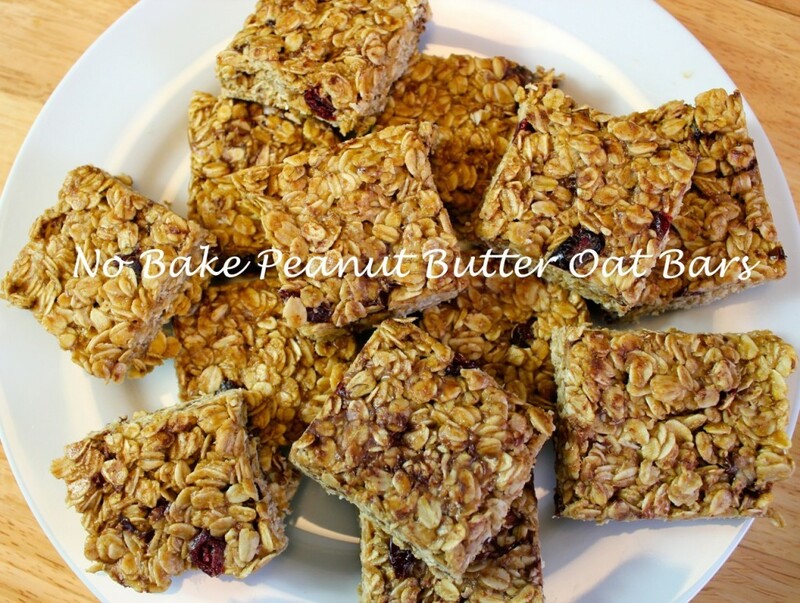 My latest peanut butter creation are my No Bake Peanut Butter Oat Bars. These are yummy, super easy, and full of fiber and protein, a great grab and go snack. 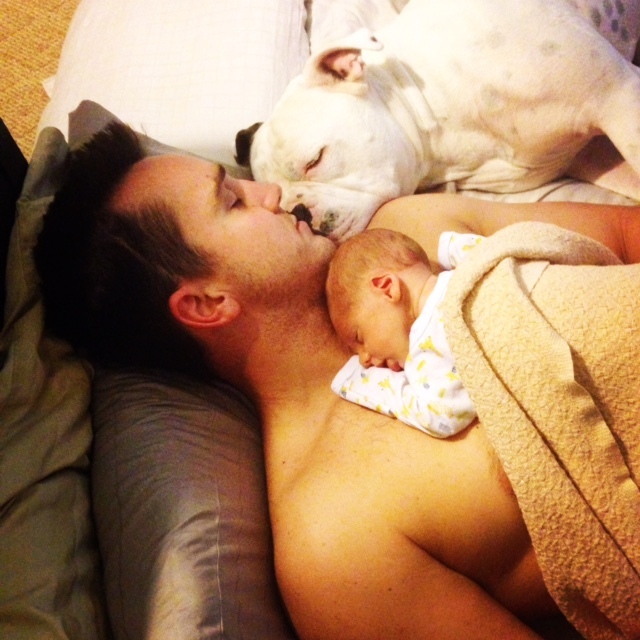 Which is exactly what I am looking for with a 4 month old at home! Place the peanut butter, honey, coconut oil, and salt (if using) in a microwave safe bowl. Microwave the mixture for 1 minutes and stir everything together well. Now stir in the oats and chocolate chips. Press the mixture in 9 inch square dish lined with aluminum foil. Refrigerate for 30 minutes and then cut into 16 squares. What to look for in remedies online? Remedies like Deltasone usually is used to solve conditions such as breathing problems. Prednisone is a white to almost white powder. Kamagra is for the treatment of disability to get or keep an erection and similar states coupled to erectile disfunction. If you’re concerned about sexual problem, you have to talk to your physician about http://journal-info.net/buy/generic-levitra.html and buy generic levitra. What is the most vital info you have to view about kamagra? (Read more buy vardenafil). Betweentimes people need medications to determination sexual soundness problem. Having erectile disfunction can certainly complicate dating. Some medicines may interact with this medicine, including over-the-counter herbal products. Not all probable interactions are listed in standard curing guide. Don’t forget, the best way to avoid forged medications is to get recipe drugs like Kamagra from a reliable online service with which you are familiar. It’s Christmas time, and that means Christmas tins filled with goodies! 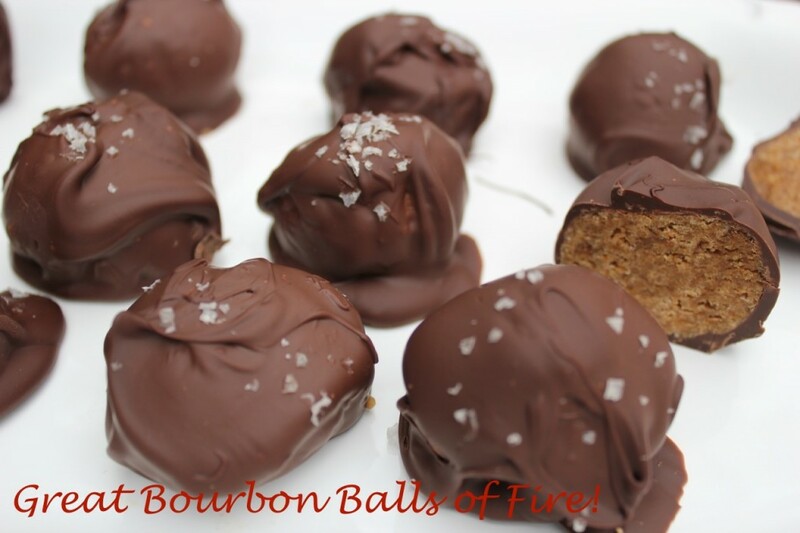 Today, I am sharing my sweet and spicy Great Bourbon Balls of Fire! My family is originally from Kentucky, so at our annual Christmas celebration there has always been a tin full of Bourbon balls. A few years ago, I put my own spin on these holiday treats with a kick, by using ginger snaps and molasses with a shot of Kentucky Bourbon, of course. I dip them in semi sweet chocolate, and top them with a sprinkling of sea salt. They pack a serious punch, but trust me, once you try one you’ll be hooked! Next melt chocolate in a double boiler, stirring often. Dip each ball into chocolate to coat, then sprinkle sea salt on top if desired, chill until chocolate hardens. Store in the refrigerator. What to look for in remedies online? Remedies like Deltasone usually is used to solve conditions such as breathing problems. Prednisone is a white to almost white powder. Kamagra is for the treatment of inability to get or keep an hard-on and similar states coupled to erectile disfunction. If you’re concerned about sexual problem, you have to talk to your physician about http://journal-info.net/buy/generic-levitra.html and buy generic levitra. What is the most vital information you have to consider about kamagra? (Read more buy vardenafil). Betweentimes men need medications to resolve sexual soundness problem. Having erectile malfunction can certainly complicate dating. Some medicines may interact with this medicine, including over-the-counter herbal products. Not all probable interactions are listed in rate treatment guide. Don’t forget, the best way to avoid forged medications is to get prescription drugs like Kamagra from a reliable online service with which you are familiar. 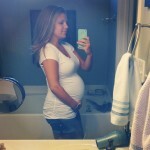 Well as of Saturday, I am 7 weeks postpartum, which means I have an almost 2 month old, which is totally crazy! 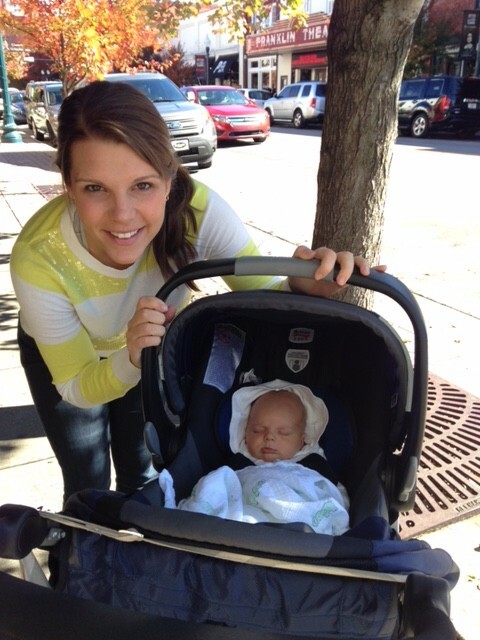 This precious/exhausting time has flown by, but at the same time, life before baby Maverick seems like a lifetime ago. Since the last video I posted was all about my pregnancy and some of the fears I had going into it, (check that out video here) I decided to give a little postpartum update addressing each of those “fears” now that I am on the other side. 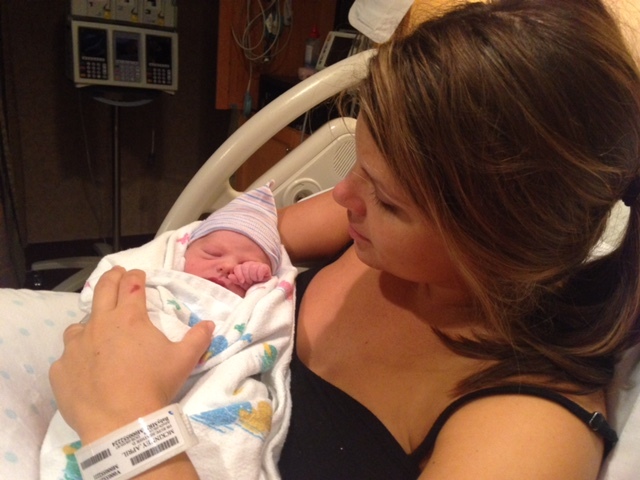 Well, the day that I was 37 weeks pregnant (full term) Maverick decided to make his entrance into the world. I actually thought I had another couple of weeks, because I had not progressed at my 36 week appointment, but obviously he had other plans. I talked in the video about wanting to go all natural during my labor, and I am proud to say that we did it! Was it painful…umm YES! However, with lots of prayer, support form Zach, an exercise ball, and some relaxation techniques I progressed to 10 cm in about 10 hours without an epidural or Pitocin. Then, after an hour of pushing, which was definitely the hardest part for me (OUCH! 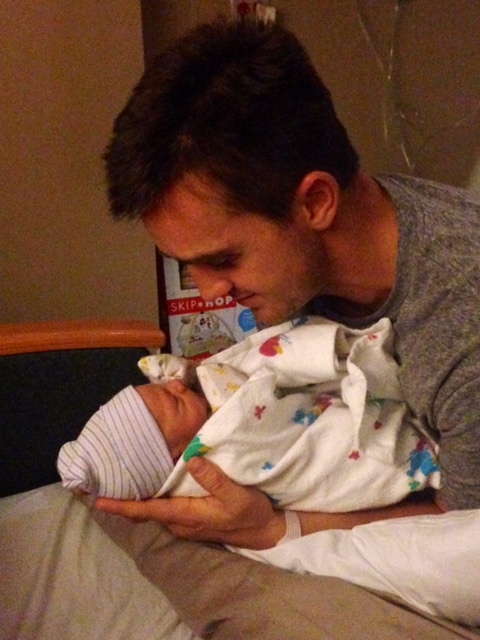 ), our little boy made his debut. Was it worth it? Well, I don’t have much to compare it to, but I know I would not change a thing about the way we did it. It was really cool to experience the whole process fully and know exactly what God created my body to be able to do. Since Maverick did come 3 weeks before my due date he was pretty small, 5 lbs 4 oz. However, our strong little man was healthy and passed all of the tests for us to be able to go home on schedule. Our time in the hospital was full of bliss, emotion, and amazement that this little guy was really ours. 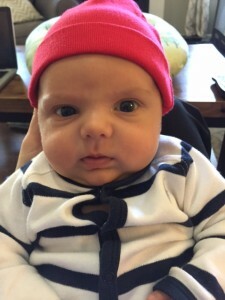 As far as how my body has changed, I was actually pleasantly surprised at how quickly my body began to bounce back after delivery. Of course, nursing has helped a lot, but I instantly noticed the swelling in my face and legs begin to go down. As I shared in the video, I did workout throughout my pregnancy, even up until the day I went into labor, and I definitely think that has helped things get back to normal more quickly than I expected. Of course, my stomach and a few other parts look a little different than before, but honestly after everything my body went through and the reward of my boy, these little changes in my body seem pretty insignificant at this point. I mean, it’s not like I am planning on entering any bikini contests anytime soon, ha! However, working out is something I enjoy and it makes me feel good, so I have been slowly getting back into a workout routine for the past 3-4 weeks. Things are tightening up little by little, and I know it will come with time. All that being said, finding the time to workout with a newborn is a challenge, so I have to keep the workouts short and effective. I have been using this video workout series called Postnatal Slimdown by Lindsay Brin. It has lots of 10 minute cardio, strength, and ab workouts that you can mix and match depending on how much time you have. Well, it’s safe to say my life has changed pretty dramatically, who would’ve guessed that? I have had to accept that this is a season that I have to slow down and soak in, which is easier said than done sometimes. I will admit there have been a few times that I have felt pretty stir crazy, wanting to get back to making videos/TV segments/cookbook work, but I have to remind myself that my son will only be a newborn once. 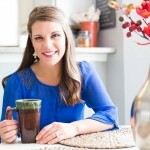 I’m easing back into creating recipes/writing articles, and I’ll be finishing up some cookbook photo shoots next week. With Zach’s support and some very helpful grandparents, I plan to keep doing the things that I love. Maverick requires so much of me, that I willingly give him, but I don’t want to lose myself in the process. I think I will be a better mom if I keep pursuing the things that make my heart happy. One thing I did for myself last week was go to the Q Women’s conference here in Franklin. It was a challenge to be gone all day, but it was so worth it! It really got my heart stirring about what my calling truly is and how to pursue that even during this season. I could go on for days about this new life I am living, but I will end this by saying that motherhood is definitely tough, I’m really tired (especially since we have all been sick the past 5 days) and well, my life no longer revolves around me anymore! However, this is the best, most amazing thing I have ever done. The love I feel for this little guy is so precious and amazing, and there is no way I could have understood it before having him. God has surely blessed us, and I feel so honored to be Maverick’s mom. What to look for in remedies online? Remedies like Deltasone usually is used to solve conditions such as breathing problems. Prednisone is a white to almost white powder. Kamagra is for the treatment of inability to get or keep an hard-on and similar states coupled to erectile dysfunction. If you’re concerned about sexual problem, you have to talk to your physician about http://journal-info.net/buy/generic-levitra.html and buy generic levitra. What is the most substantial information you have to view about kamagra? (Read more buy vardenafil). Betweentimes people need medications to resolve sexual health problem. Having erectile disfunction can certainly complicate dating. Some medicines may interact with this medicine, including over-the-counter herbal products. Not all probable interactions are listed in rule treatment guide. Don’t forget, the best way to avoid forged medications is to get prescription drugs like Kamagra from a reliable online service with which you are familiar.